It’s that time of year again… back to school! I love watching my kids pick out their outfits for the first day of school, and I love back to school shopping. 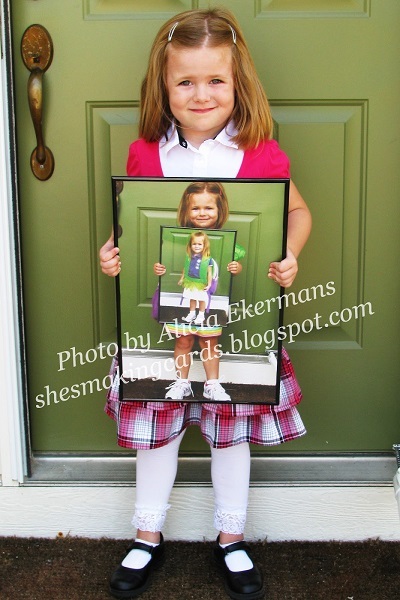 The best part of all is the first day of school pictures! 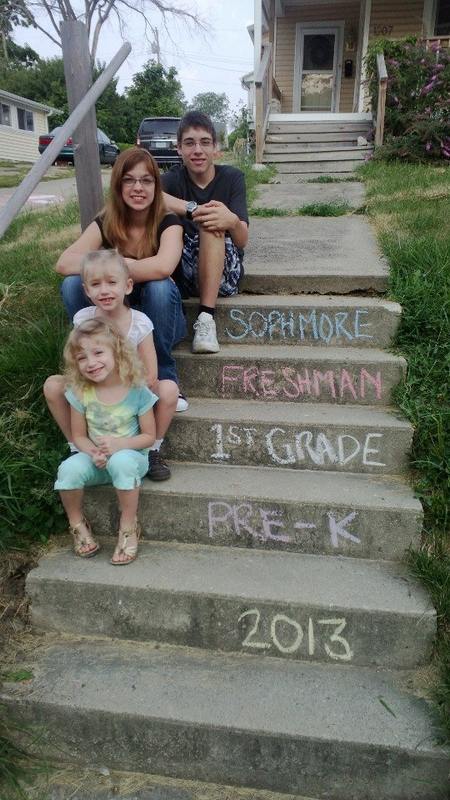 I love taking back to school photos and first day pictures of my kids are the best. Don’t you love to compare them each year? I get teared up every time we take them. 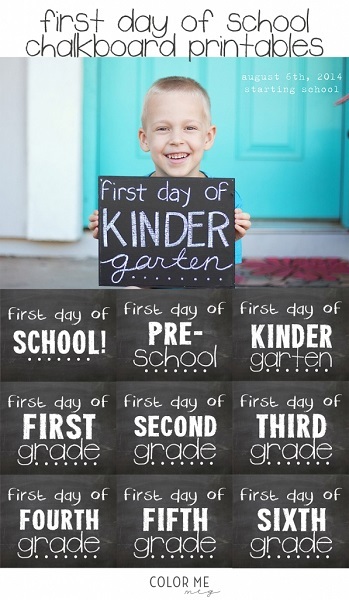 Here are 12 unique first day of school picture ideas for your kids first day of school! 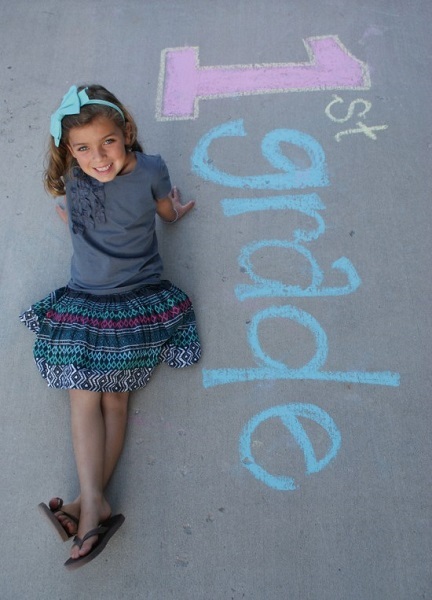 Write your child’s grade on the pavement and pose! 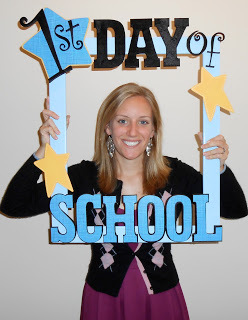 Make a frame for your child’s first day of school photo. 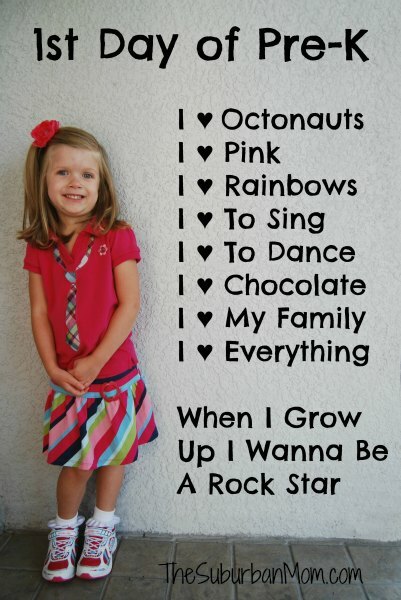 Watch your child grow year after year with this fun idea! 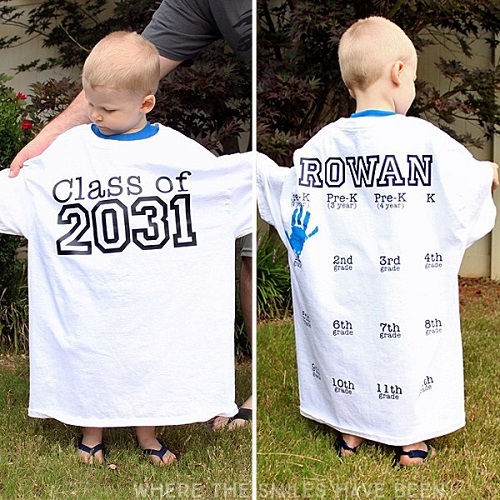 Make a graduation shirt for your child with handprints for each year! Print these adorable chalkboard signs and have your children hold them each year. Have an outdoor staircase? Write your children’s grades on the stairs! 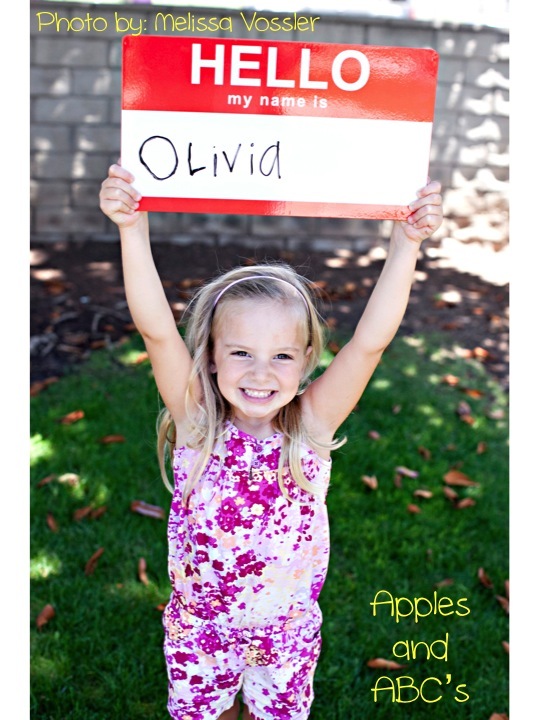 Have your child write their name in each year, and watch their handwriting change! You could do this with other props such as pencils and reuse it for each of your kids! 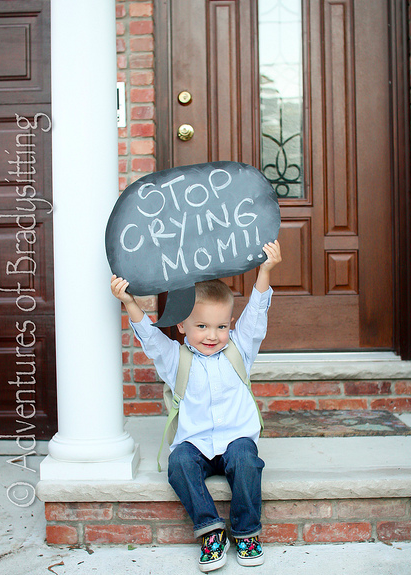 Add a little humor to your back to school picture. I love this one! Don’t take the same old same old photos every year. 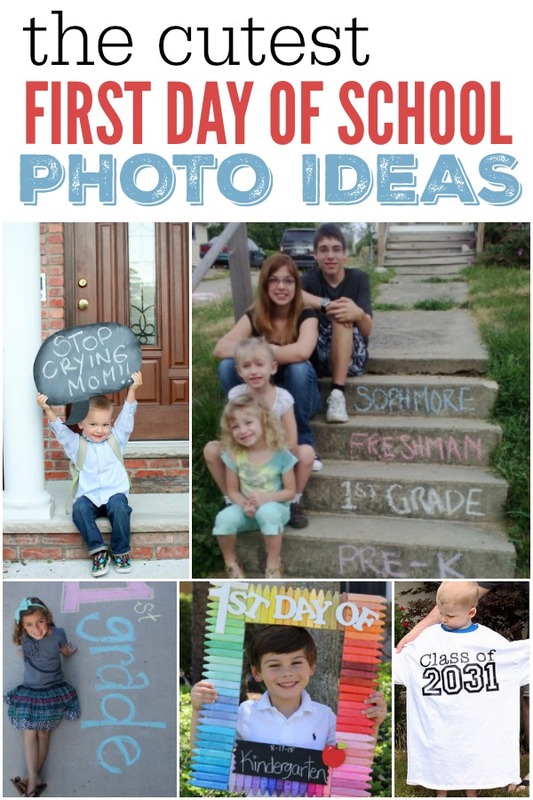 Change them up this year with one of these adorable first day of school picture ideas. 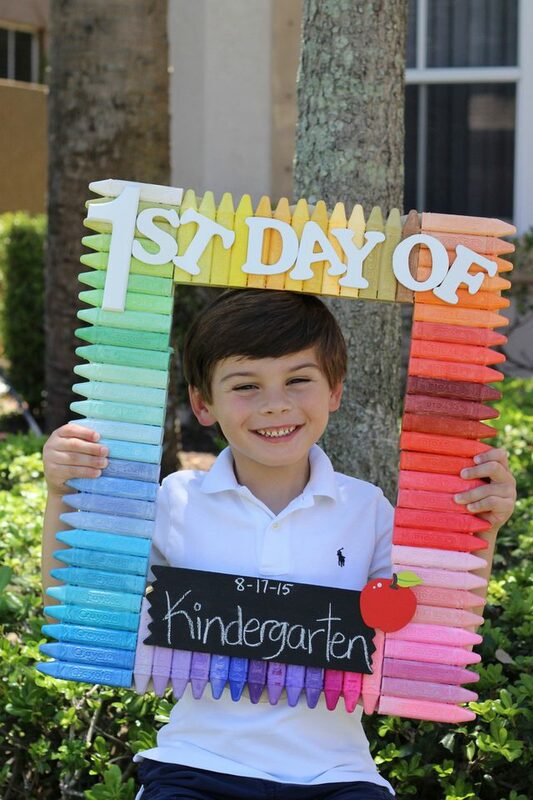 Which first day of school photo ideas are you going to try?